I don’t know why they call it Midterms week because for me I’m having midterms for 3 weeks now. This week again I had two midterms and I still have one to go. I can’t wait to see the grades to finally know how I’m performing here in GWU. So, after a tough week of exams, I deserved some rest and fun during the weekend. One of the experiences that I loved doing during this weekend is going to a corn maze in Lawyers farm in Maryland. As you know Halloween is coming, and there are a lot of activities happening in Washington DC around that. The event was organized by GW Campus Outreach and honestly, we had a LOT of fun. It was my first experience in a corn maze and I really enjoyed it. I have never thought that getting lost in a maze is a real thing. But it was fun being lost for an hour trying to find the exit in the dark while scaring each other. By the end, we had s’mores around the bonfire. It was really cool to get around the fire and talk for a while, especially in that freezing cold weather. Since I love outdoor activities, after a night in the farm around the fire, I had a hike with GW Trails to Mary’s Rock summit in Shenandoah National Park. The Shenandoah park was two hours drive from GWU but the scenery in Virginia’s roads was so beautiful. The hike was relatively easy, one hour up and half an hour down. But I can’t describe how fascinating the nature was. The trees were colored from red to faded orange colors. It was so beautiful to see the autumn vibe at its best in the park. Golden leaves were covering the narrow itineraries and I totally loved it. The best thing was the view from the Mary’s Rock summit. You just can’t get enough it. I would say it was totally worth the 15$ and going to Shenandoah national Park should be in your bucket list here in DC. On Sunday, the White House opened its doors for the public to visit. It was a tour in the Gardens and apparently it happens twice a year. You can imagine the massive amount of people in line to get their tickets to the White House at 8 am. After a long wait, we finally got them. It was nice to get a tour around the White House gardens and get that close from the presidential residence. But as the non-morning person I am, I think it wasn’t as impressive as I expected but at the end it was a must thing to-do when living in Washington DC. And the greatest way to finish the week was to get Moroccan food for lunch. I didn’t think that I would miss it that much. It was SO good and I can ensure that by the approvals of all my other friends that tried it for the first time. At this point, I’m still not homesick yet but going to the Marrakech restaurant reminded me of how much I miss my country and its food. On the surface, DC is the epitome of a metropolitan city with its ceaseless bustling activity, surrounding marble and concrete buildings. Dive a little deeper, and you’ll find it’s so much more than that. Incredibly lucky to have relatively good weather over the weekend, going to national parks became a whole lot easier. 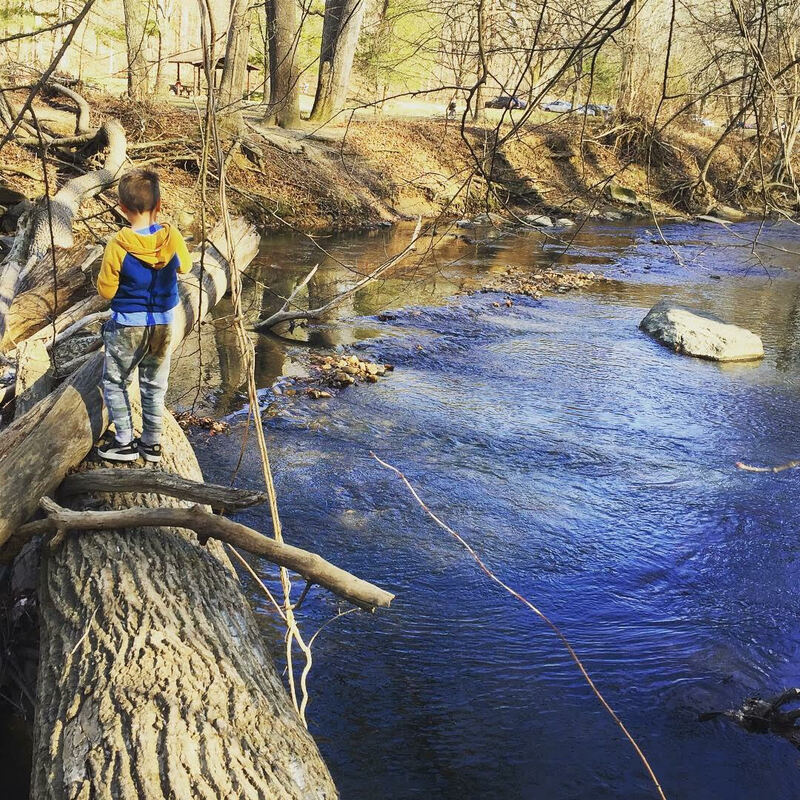 Of all the national parks, Rock Creek Park is easily the most accessible from GW (it’s a twenty-minute walk from K Street in the direction towards Georgetown). We made our way to the creek and was treated to a pretty fantastic view of what mother nature has to offer. 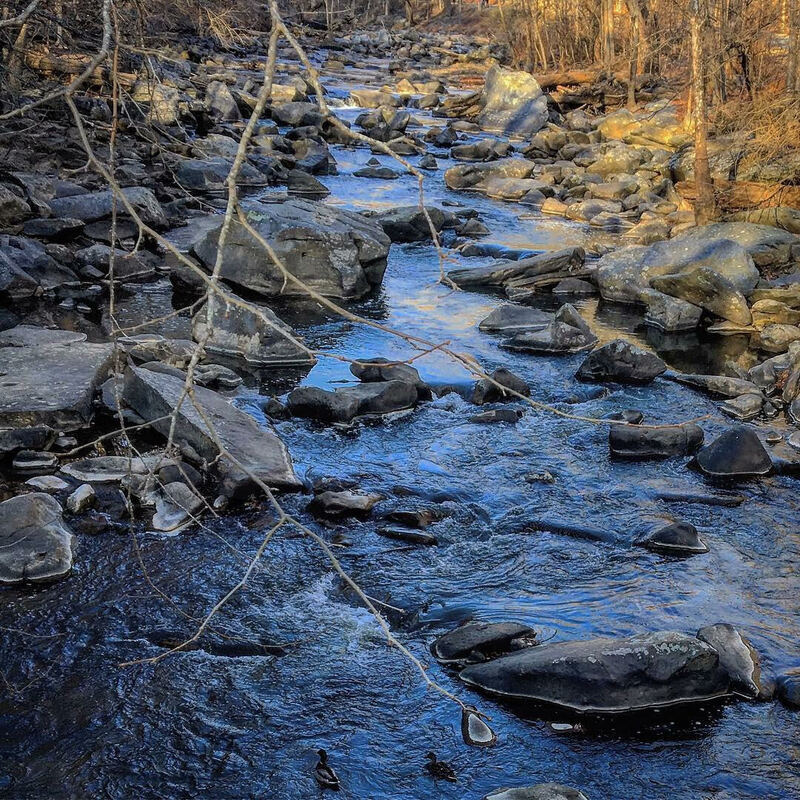 Rock Creek is a tributary (a stream) of the Potomac River, which then connects to the Atlantic Ocean via the Chesapeake Bay. Besides the great outdoors, the park has plenty to offer: there’s a Horse Center which offers riding lessons to the public as well as pony rides. While I didn’t get a chance to get on a horse due to time (and budget) constraints, I would highly encourage others to try it out. Other than the center, there’s also Pierce Mill, which is a very old building. It used to grind grain into flour and is powered entirely on water. Today, it is home to a mini museum informing the public about the milling process. It is also home to the Rock Creek Park planetarium – so if there’re any astronomy enthusiasts, this is the place for you. Inside, you will find a huge image of the night sky projected onto a dome-shaped ceiling. If you’re lucky, there will be park rangers on break to engage you in a lively discussion of stars, the planets and the galaxy. Tip: don’t bring up star wars like I did.